Dr. Margo McCrae, Rph BSc Pharm BCPS Pharm.D. Rph BSc Pharm BCPS, Pharm.D. Margo McCrae is the lead Pharmacist on the Oncology Team at CTMH | Doctors Hospital and Professional Pharmacy. She ensures patients receive safe, high quality care when receiving chemotherapy at CTMH | Doctors Hospital. 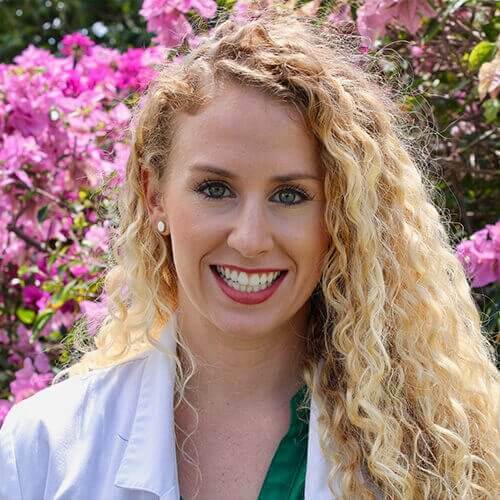 She is also the Senior Pharmacist at CTMH | Doctors Hospital an oversees the day to day operations of both their inpatient and outpatient pharmacy services. Margo graduated with honours in 2009 from the University of Manitoba (Canada) with a Bachelor of Science degree in Pharmacy. After graduation, she worked at St. Boniface Hospital in Winnipeg, Manitoba for four years before moving to the Cayman Islands in 2013 and beginning employment at CTMH | Doctors Hospital. In Canada, she worked part of the time as a Clinical Pharmacist in the areas of Internal Medicine and General Surgery. She spent the remainder of her time working in the sterile compounding service where she supervised the preparation of chemotherapy and other IV admixtures for both adults and neonates. Margo completed both sterile products and chemotherapy certification compounding courses in Texas in July 2014. She also became a Board Certified Pharmacotherapy Specialist (BCPS) in 2014. Margo is in the process of obtaining her Doctor in Pharmacy degree through the University of Toronto and is set to complete this by 2018.